The freelance professionals value coziness and comfort, so they prefer casual dressiness. 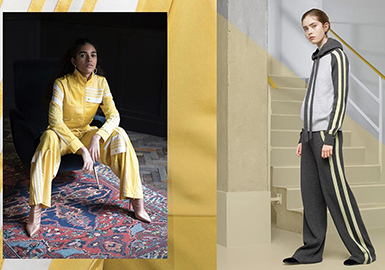 Or loungewear merges with athleisure. Tailored trousers with a drawstring, trousers with an elastic waist, well-fitting suit pants, A-line pants and draped wide-leg pants are key items of this season. Designers use drawstrings or elastics to create a business casual feel. 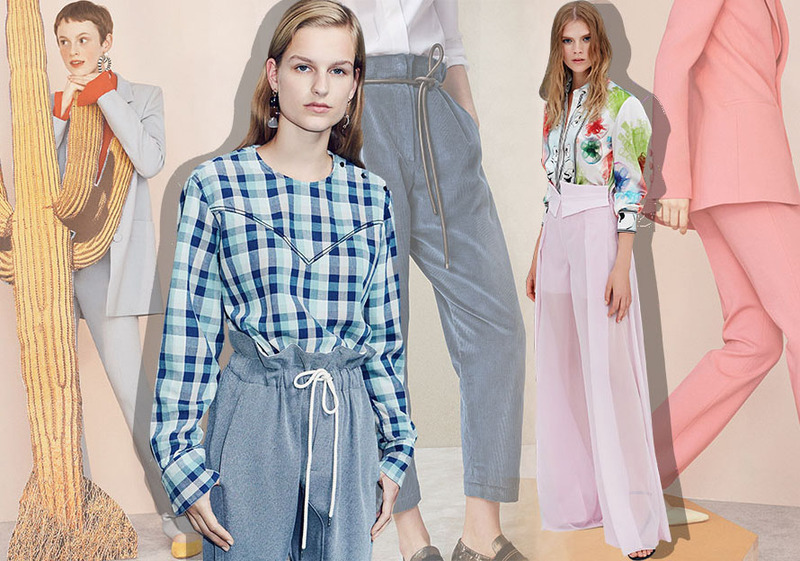 Pieced or creased pant legs reveal a resort vibe. Fitted tailored trousers have a simple and smart quality. As people pay more attention to the sport, sports suit become more and more sophisticated. The decorative letters, stripes and color-blocking bring freshness. With the prevalence of the athleisure style, the brands put emphases on the sporty and casual outfit. The 19/20 collection impresses us with its creative design, and the coat, jacket and suits are updated in this season, let's find out! Stylish and versatile, jeanswear is a must-have in S/S seasons, favored by women as it balances femininity with masculinity. 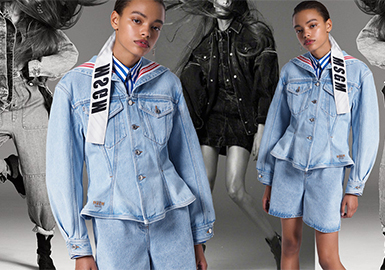 Denim garments are more practical and vary in styles to entice fashion-forward women. High-quality cotton and linen fabrics cooperate with simple yet elegant silhouettes. 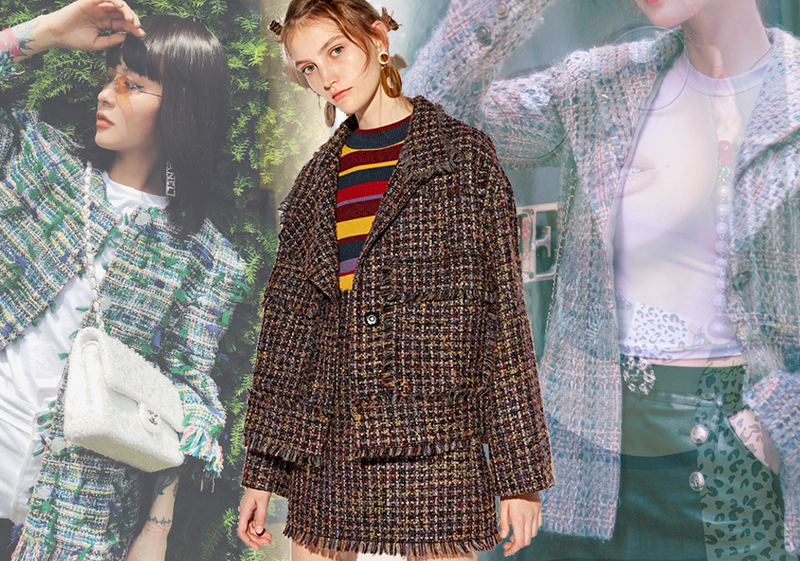 In A/W 19/20, designers make these materials more versatile, ideal for all seasons and occasions. As our society develops quickly and the pace of life speeds up, we desire for a simple lifestyle and more comfy wearing experience. 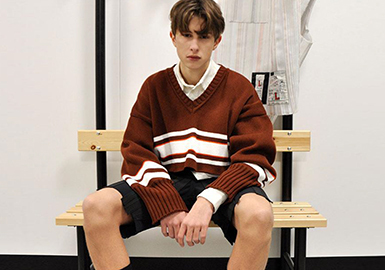 Knitwear goes simpler in A/W 19/20, completing stylish and vibrant looks. 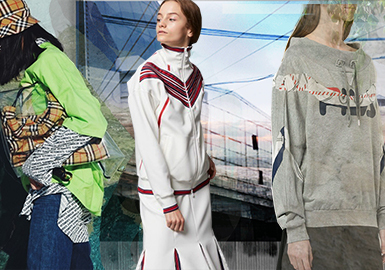 In the current craze of sport campaign, designers tend to focus on the sportswear-inspired profile and styles. 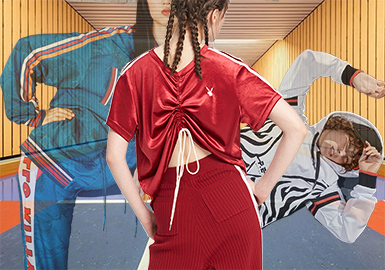 Sports suit is emphasis in this season, many novelty profiles are noted, including raglan sleeves , drop-shoulder sleeves , cropped style, wide sleeves, waist drawstring, ultra-wide-leg trousers, one-piece suit, reformed school uniform and sleeveless suit. With the vintage trend keep gaining popularity, more and more suit styles emerge in this season. Suit is a perfect choice for business and commercial occasions, the casual suit is also eye-catching and refreshing. Let's see the key profiles in this season. 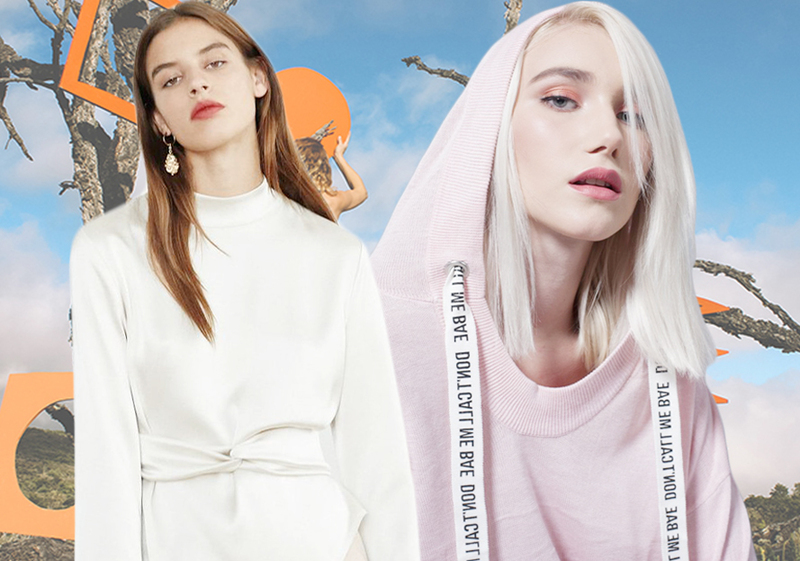 Athleisure style and business style are still the mainstream trend, key items in this season are broad-shoulder vest, drop-shoulder round-collar pullover, hooded knitwear, knitted blazer and knitted sportswear. 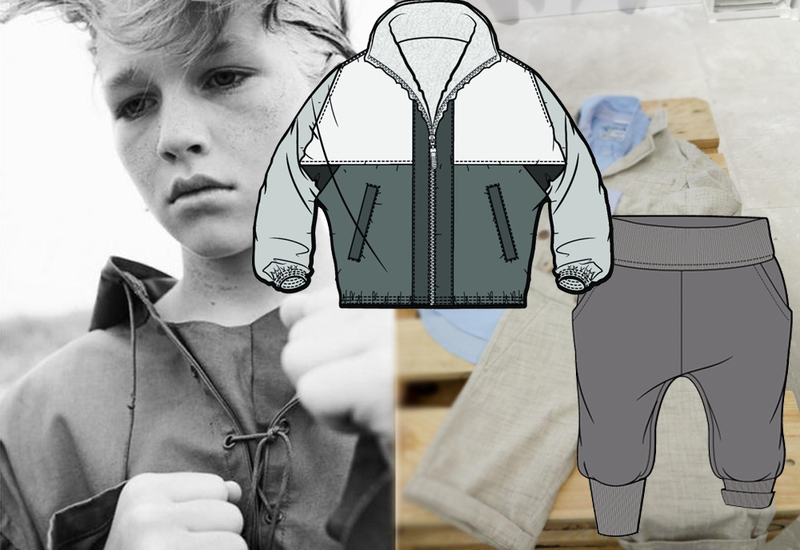 Key items in this season are aviator jackets, collarless shirt, sportswear and beach shorts.